Spearmint essential oil is very effective in treating psycho-emotional problems such as stress and depression. It is used to relieve respiratory infections and skin problems. It is also an incomparable aroma for the manufacture of candies, beverages, perfumes and pharmaceuticals. Spearmint has been crossed with Water Mint to create Peppermint, an hybrid mint. That is the main reason why many of the spearmint and peppermint characteristics are the same. Spearmint is known to be less strong than peppermint and is therefore perfect for people who consider peppermint too powerful. Spearmint essential oil contains at least 50% carvone, a chemical compound that brings to the spearmint that so characteristic taste and odor. It is therefore naturally that the main use of the spearmint essential oil is as aroma for the food, pharmaceutical, cosmetics and perfume industries. At home, it is easy and safe to add the spearmint essential oil to homemade preparations such as beverages, syrups, desserts, cakes and household products. 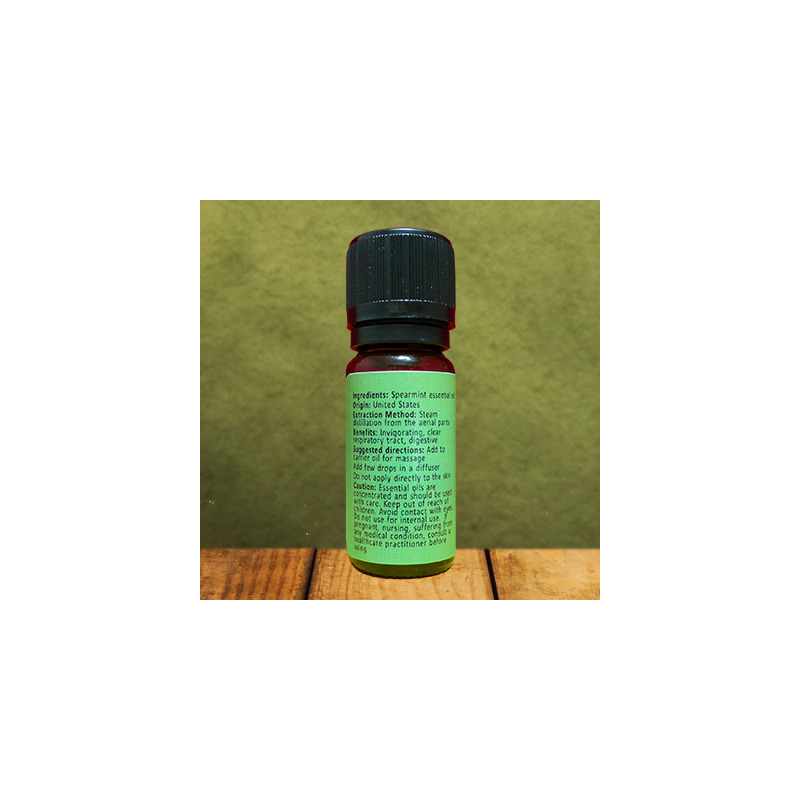 For the human body, spearmint essential oil finds all its effectiveness in the reduction of psycho-emotional disorders. 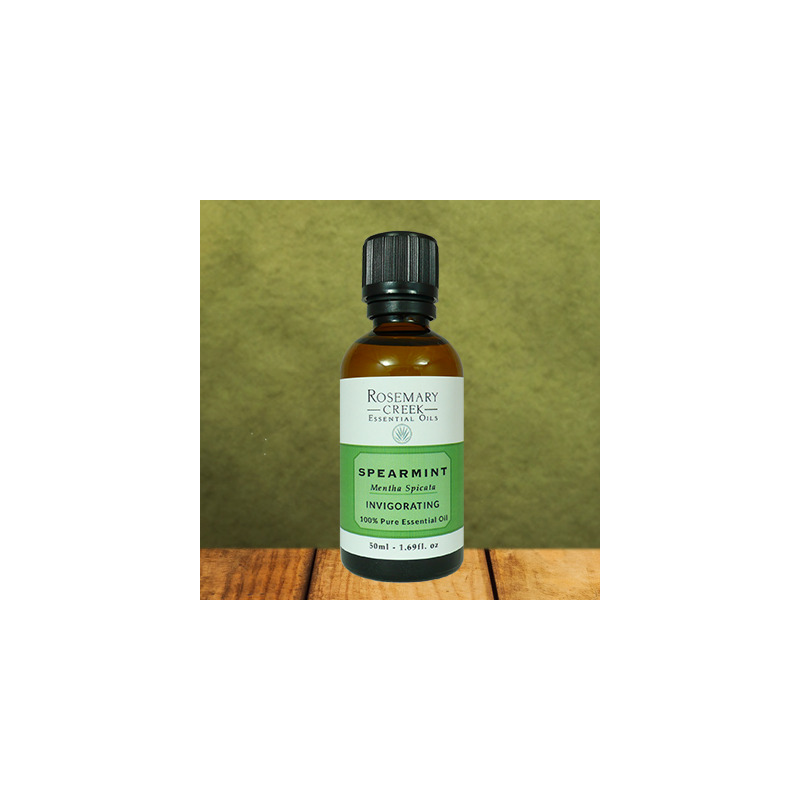 Spearmint essential oil has a double effect on body and mind. Carvone and its refreshing effect stimulates brain activity. On the other hand, limonene and its relaxing properties help to relax nerves and muscles. Spearmint essential oil is particularly recommended to treat nervousness, fatigue, stress, anxieties, emotional shocks and depression. Spearmint essential oil is particularly effective for treating respiratory infections such as stuffy nose and cold. It is also used to relieve respiratory tract inflammations such as bronchitis and sinusitis. 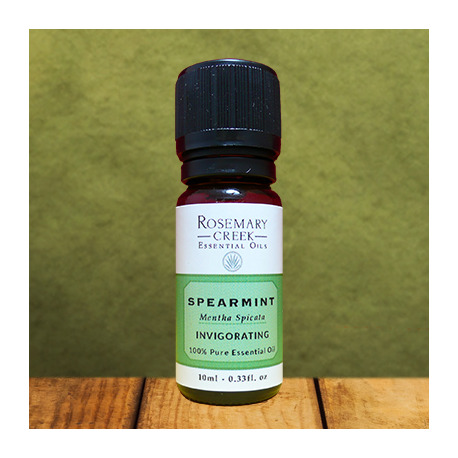 To clear the airways, spearmint essential oil can be administered by massage, inhalation, olfaction and diffusion. Thanks to its antiseptic properties, spearmint essential oil is found in preparations to treat skin problems. Chemical compounds that make spearmint antiseptic are myrcene and caryophyllene. 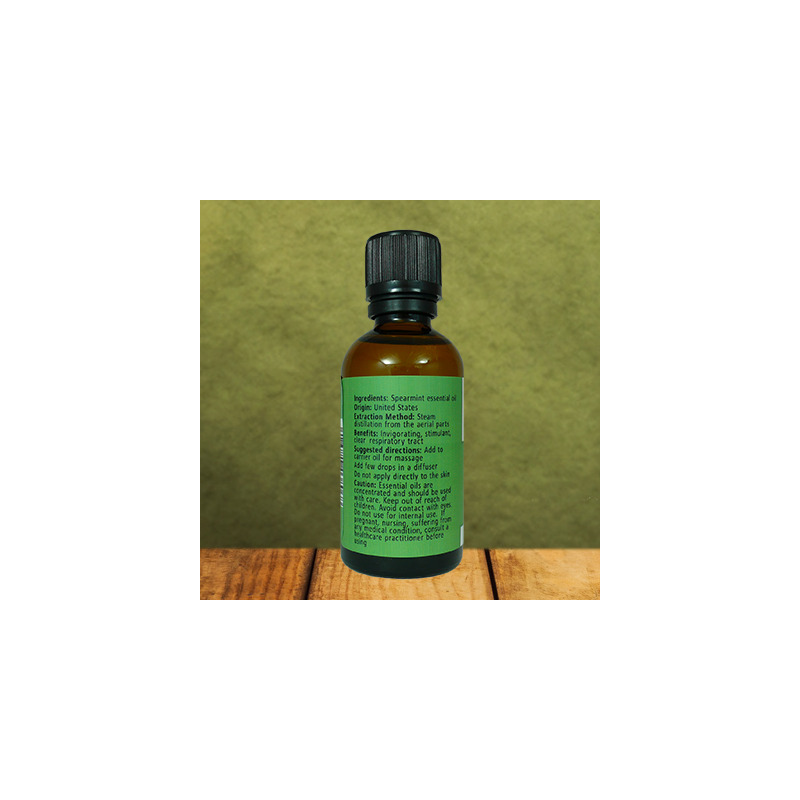 Spearmint essential oil is efficient in disinfecting and helping healing wounds and scars. Our spearmint essential oil contains about 10% limonene, a natural insecticide. It proves to be a wonderful ingredient to keep insects and crawlers away. 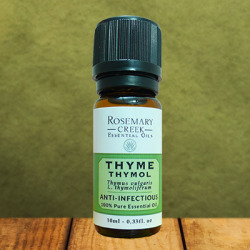 It is very effective combined with lemon and cedar essential oils as a homemade insecticide. The healthiest way to use this essential oil is in diffusion, inhalation or olfaction. Strongly dilute the essential oil in water (10% maximum). 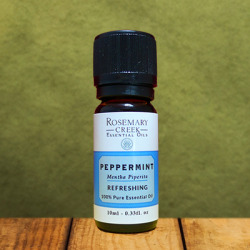 As with many essential oils, spearmint essential oil should not be used for long periods of time, maximum 15 days. In massage, add 5 to 10 drops to a carrier oil, such as coconut oil or olive oil. Do not apply to a large part of the body. Do not apply undiluted directly to the skin. Spearmint essential oil blends very well with peppermint, eucalyptus, citrus and basil essential oils. Essential oils are concentrated and should be used with caution. Spearmint essential oil contains carvone, a molecule that presents neurotoxic risks if absorbed in a large quantity. Spearmint essential oil contains Limonene and can present risks of allergic reactions for some people. Do not use if pregnant, nursing, elderly and for children under 6 years of age. If suffering from any medical condition, consult a healthcare practitioner before using. Do feel free to ask for further information and applications. DISCLAIMER: Essential oils are not meant to cure diseases and illnesses. They may ease some health problems and bring comfort. We suggest you consult a physician and do your own research for each essential oil that interests you. To get more safety information, read our article about the risks of using essential oils.